(Seychelles News Agency) - The Seychelles minister for Foreign Affairs and Transport, Joel Morgan, has welcomed the joint cooperation of the Indian Ocean Commission countries to sign a cooperation agreement between their respective national airlines. According to a press statement issued by the Indian Ocean Commission (Commission de l'Océan Indien, or COI in French) on Monday afternoon, the national airlines of Reunion, Madagascar, Seychelles, Mauritius and the Comoros will sign the agreement, known as ‘l’Alliance Vanille’ or Vanilla Alliance, on June 18 in Antananarivo, Madagascar. The Council of Ministers of the COI, met on May 20 in the Madagascan capital, where they committed to sign the "historic" agreement for greater air connectivity. “l’Alliance Vanille will pave the way for greater air connectivity between the COI member states and move us closer to a common vision of regional integration and boundless cooperation between sister Indian Ocean islands,” said Minister Morgan in an email statement to SNA. The minister said that the agreement would reinforce ‘people-to-people’ linkages across the Indian Ocean island region and also promote business and trade within these communities. “As small island developing states, we need to demonstrate clearly that from within our own regional community, that we are doing the maximum, and an alliance between our regional air carriers is an important step, and something that our government has been calling for,” he said. First established in 1982 in Mauritius, the COI was institutionalized in 1984 as an intergovernmental organisation of its five member countries by the Victoria Agreement in the Seychelles. The COI convened a ministerial conference on air transport and tourism in the Seychelles in July 2014, after which a committee of airlines and civil aviation authorities was established to identify ways to translate the COI’s regional goals into action. Marie-Joseph Malé, who is the CEO of Air Austral and president of the COI airline committee, called the progress in regional dialogue "a major turning point for regional air transport". According to the COI's statement, the l’Alliance Vanille agreement will “significantly and concretely improve air service between the Indian Ocean countries and abroad”. 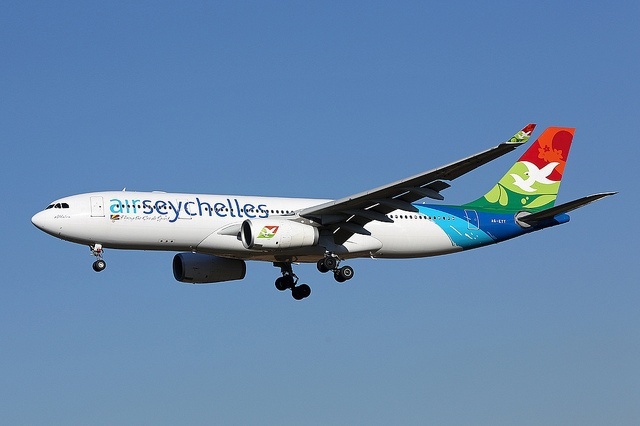 Air Austral, Air Madagascar, Air Mauritius, Air Seychelles and the Ministry of Transport of the Union of Comoros have agreed to “jointly defend their common interests and enhance international connectivity to the islands while taking care to preserve the attractiveness of passenger fares”, read the statement. The committee will now hold meetings to establish a shared regulatory framework in addition to strengthening government capacity in areas such as training and safety.